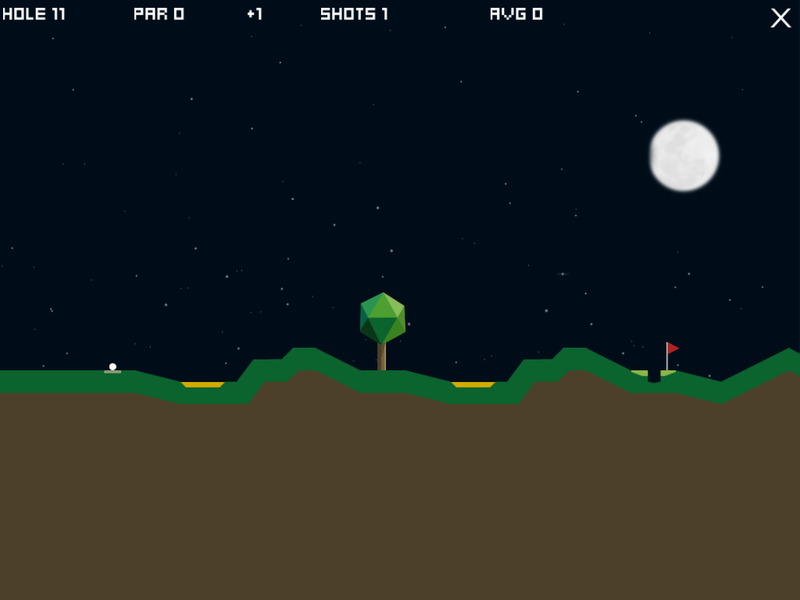 Night Golf World: the 2D casual golf game for nocturnal golfers is now available for iPhones and iPads. Check it out – it’s free! Take your clubs and swing into the small hours with Night Golf. Stroll down the fairways and enjoy the ambience and sounds of the nocturnal golf course. Breathe in the cool crisp air as you swing your club and aim for the green! Every hole in is a Par 3, and the number of holes is infinite. The score card shows the current hole as well as the lifetime average par score. Night Golf has two ball strike methods depending on your personal preference and screen size. Enjoy the super custom designed nocturnal sound track -with real samples from frogs, tawny owls and other night dwelling creatures! If you like miniature golf, crazy golf or mini-golf games, you will definitely enjoy the 2D world of Night Golf!